Below is a list of valuable virtual manipulatives for learning mathematics. JAVA: You might need to download Java, a free plug-in to interact with virtual manipulatives. Algebra 4 All, a social network sponsored by Michigan LearnPort, has a section on Algebra Tiles with explanations on how to use each manipulative. Analyze Math by A. Dendane (United Arab Emirates University) has an extensive collection of applets in the section called Math Software. Learners can explore and gain deep understanding of topics in mathematics including calculus, precalculus, geometry, trigonometry and statistics. There is also a section for Interactive HTML5 Math Web Apps for Mobile Learning. British and Metric Conversions is an interactive for students to learn how to convert measurements between the metric system and the English (sometimes called British) system, which is commonly used in the United States. Learn the symbols, more about length, mass, temperature, volume, and then test your knowledge. Geometry 3-D Shapes is an interactive for students to learn about three-dimensional shapes, calculate surface area and volume, and discover some of the mathematical properties of shapes. It comes with tutorials and an interactive test. C.a.R. (Compass and Ruler) is a dynamic geometry program simulating compass and ruler constructions on a computer. It's by by Rene Grothmann, professor of mathematics at the University of Eichstätt (Germany). For school geometry in the plane, there are lots of geometric objects like points, lines, rays, line segments, circles, arcs, angles, polygons and conic sections. Ruler and compass constructions can be changed by dragging one of the basic construction points. Arithmetic computations, numerical solutions, curves and functions go beyond classical constructions. It is even possible to construct in 3D using advanced macros. Other geometries, hyperbolic or elliptic, can be explored. The software is free open-source and comes with documentation, tutorials, and demos. Java needs to be installed. CalcPlot3D is a Java applet from the Mathematical Association of America Mathematical Sciences Digital Library Loci Resources, which provides an exploration environment for multivariable calculus. Complex Numbers--An Interactive Introduction to Complex Numbers includes two Java applets, explanatory text, and exercises for exploring basic principles of complex numbers (e.g., basic arithmetic, conjugation, powers, roots). Both applets allow users to "input complex numbers in either cartesian or exponential form and display them in vector form." Content is posted within the Mathematical Association of America Mathematical Sciences Digital Library Loci Resources. Concord Consortium STEM resources: Mathematics. Each virtual manipulative is accompanied by an activity, teacher lesson plan, and assessment. Standards for the resource are also provided (e.g., NCTM, Common Core standards). Searches can be narrowed by elementary, middle, high school, or higher education. Crickweb.co.uk has interactive resources for use in primary grades. Multiple core subjects, including math, are available. These can be used with interactive whiteboards, or online with your computers. Highly recommended. Didax Math Manipulative Information Center provides general information on manipulatives and instructions for the use of specific manipulatives. While the focus is on concrete manipulatives with downloadable activities, where possible associated internet and virtual manipulative activities are provided. DreamBox Learning has over 40 free virtual manipulatives for K-8 math available on its website that can also be used with any whiteboard. They help learners engage with number sense, addition, subtraction, multiplication, division, geometry, algebra, functions, and proportional reasoning concepts. Erathothenes' Sieve is an ancient method for calculating prime numbers, explained in this video posted at Khan Academy. The algorithm is still used today. Prime Numbers Before Calculator from factors-of.com will show you the prime numbers before a given number until 10,000. 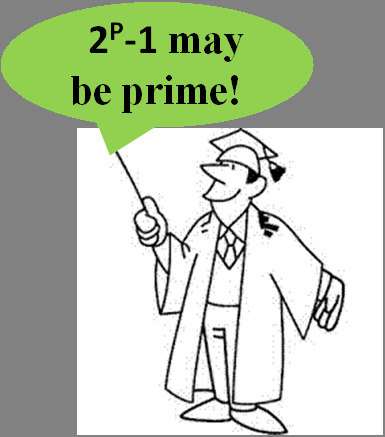 Learn more about the largest known prime at the Great Internet Mersenne Prime Search. Found in December 2017, the largest prime is 277232917-1. It has 23,249,425 digits! Then learn more about this discovery in This is the Largest Known Prime Number Yet by Mika McKinnon, posted January 4, 2018 at Smithsonian.com. Euclid's Elements Dr. Dave Joyce of Clark University in Massachusetts brings all 13 books of the Elements alive using a Java geometry applet to illustrate definitions and postulates. ExploreLearning.com is a subscription based set of over 400 virtual manipulatives (simulations of math and science concepts), which the authors call "Gizmos." The math series addresses the five NCTM strands for grades 6-12 and college developmental math, college algebra, and precalculus. Gizmos for elementary math for grades 3-5 are also available. ExploreLearning Gizmos, with associated Exploration Guides, help students develop critical thinking skills and conceptual understanding. The series is also correlated with national and state standards and major textbooks, and includes assessment and real time reporting. A 30-day free trial is available for the teacher or home. Sample Gizmo at the site can be immediately activated. Floorplanner "an online CAD (Computer Aided Design) system specifically developed for bringing good-looking, complex floor plans within reach of everyone" (About Us section). Educators might consider using it with learners in upper elementary grades through high school for creating 2D and 3D plans--great for geometry studies. Create an entire house with interactive floor plans. A free version is available for personal use. Exploring Geometric Transformations in a Dynamic Environment, posted within the Mathematical Association of America Mathematical Sciences Digital Library Loci Resources. You'll find eight activities and virtual manipulatives related to teaching reflections (also including reflections with parallel lines, intersecting lines, and concurrent lines), rotations, translations, and glide-reflections to middle and high school learners. Geogebra: Virtual Manipulatives includes twelve ready-to-use virtual manipulatives by Duane Habecker, which are most suitable for learners in elementary grades. Geometry Applet Gallery from Saltire Software contains some excellent applets, which are easy to use and suitable for illustrating several theorems presented in a high school or post-secondary geometry course. Basic Geometry relates to angles in parallel lines, circular configurations, Pythagorean triples and incircles. Students can drag points to explore concepts. Four triangle calculators are presented. By entering SSS, SAS, or ASA, students can see the unique triangle that is formed, but if SSA is entered the resulting triangle is not unique (two are possible) or no triangle is possibly formed with given information. Some advanced geometrical configurations are explored. Saltire's work has been assisted with a number of National Science Foundation grants. Geometry Playground is a free Java applet from the Mathematical Association of America Mathematical Sciences Digital Library Loci Resources, which enables "ruler and compass" constructions in "Euclidean, Spherical, Projective, Hyperbolic, Manhattan and Conical geometries" (Description section). Potential classroom activities are included. Harcourtschool.com E-Lab: Extensive collection of interactive applets for grades 3-6. Activities to accompany each are provided. You can download an E-Lab activity and use it without being connected to the internet. While working on internet, Microsoft Java is recommended. Houghton Mifflin Harcourt iTools for intermediate grades contain virtual manipulatives with activities for the following: counters, base-ten blocks, number lines, number charts, graphs, fractions, geometry, measurement, algebra, and probability. Harvey's Homepage: Interactive SMART Board Lessons for Mathematics. This is a real find for educators who have a SMART board in their classroom--so engaging and colorful. Download the notebooks of lessons, which were developed by Harvey Almarode (James Madison University). Topics include number sense, computation/estimation, patterns/algebra/functions, geometry, measurement, probability/statistics, teacher utilities, problems of the day, and more. Illuminations Interactives from the National Council of Teachers of Mathematics (NCTM) contain virtual manipulatives and applets identified by grade band to investigate various concepts within NCTM identified strands and Common Core Math Standards searchable by grade level. Apps for mobile devices are also among interactives. Interactivate, which is a project of The Shodor Education Foundation, Inc., includes a set of interactive JAVA-based tools to support courseware in science and math. Activities are divided by grade-band (3-5, 6-8, 9-12, and undergraduate). Some activities allow students to keep score to monitor their progress, and are listed under assessments. Activities that use the tools support Common Core standards and you can search by standards to find specific resources addressing those. Browse by topic, audience, type (activity, lesson, discussion), or subject (number and operations, geometry, algebra, probability, statistics, modeling, discrete, and other). A math dictionary of terms used within the site is included. Interactivate has also aligned its activities to several textbook series (e.g., Connected Math, Math Thematics, Mathematics in Context, and MathScape). Interactive Mathematics promotes learning math while you play with it! Primarily for upper secondary and college level students; basic math includes algebra, complex numbers, statistics, logarithms, trigonometry, plane analytic geometry, and graphing. Calculus includes differentiation, integration, and higher topics in calculus. Lectures and full examples are provided. A complete list of interactives is available. Interactive Resources from the UK has four math packs, each with a wide range of excellent interactives for classroom use with preK-6 students. Explore numerous concepts related to NCTM strands. Some include whiteboard (drawing on the figures) capabilities. There are rulers, protractors, geoboards, Venn diagrams, number lines, and so on. Don't miss these teaching tools. Key Curriculum Press JavaSketchpad has several applets for use with secondary math students and above. In the Sketchpad Gallery you will find multiple demonstrations from geometry (e.g., centroid, Pythagorean theorem), trigonometry and analytic geometry (e.g., sine wave and conic sections), calculus (e.g., box volume and falling ladder), mechanics, and other explorations (e.g. least squares). Larry Green's Applet Page has numerous applets within basic math, beginning algebra, intermediate and college algebra, statistics, and calculus. This is well worth an investigation. Learning Objects from Brock University (Canada) Department of Mathematics are tools to help students explore mathematical concepts interactively. Learning Today, which produces math and reading software, has free teacher resources with math applets, interactive math games, and K-5 interactive whiteboard lessons. Applets include tesselations, pan balance, Venn diagram shape sorter, a fractal tool, ten frame, a concentration game, angle sums, congruence theorems, and a turtle pond for investigating distance and angle. Games deal with number and operations, measurement and geometry. These are definitely of value and worth investigating. Manipula Math with JAVA by International Education Software contains a collection of 279 applets suitable for teaching math concepts to middle school, high school, and college students. Applets address middle school geometry and the Pythagorean Theorem, trigonometry, calculus, vectors, complex numbers, conics, and miscellaneous topics. Mathematics Open Reference is a free plane geometry textbook for high school learners. Its focus is on using interactive materials and animations to develop concepts. There are numerous interactive applets with at least one accompanying nearly every concept. This is highly recommended for visual learners and reinforcement for all. Math Doodles is by Daren Carstens, who is the developer of the award winning software Math Arena. He offers several interactive puzzles and games for elementary learners to have fun. But there is learning, too, as students practice addition, subtraction, money skills, and pattern matching (shape, number, color), for example. Among current games are Connect Sums, Number Jump, Polyomino Shift, Double Traits, Sum Stacker, Time Shuffle, and more. Older learners also benefit, as students really need to think as they do these. Math Education Page: Applets created by Henri Picciotto using GeoGebra. You'll find applets for fractions, algebra, functions, and geometry designed to make "various mathematical ideas more visual, and more interactive." Math Playground: Math Manipulatives: This learning site for grades 1-6 includes virtual math manipulatives, such as a protractor, fraction bars, equivalent fractions, percents, a spinner for probability, function machine, pattern blocks, and a geoboard, and more. Core Math Tools from NCTM contains a suite of interactive software tools for algebra and functions, geometry and trigonometry, statistics and probability, which are appropriate for high school mathematics and compatible with the Common Core math standards in terms of content and mathematical practices. Java is required. The tools are not optimized for mobile devices. You find general purpose tools (Computer Algebra System-CAS, spreadsheet, geometry, data analysis, simulations), custom and advanced apps, sample lessons, data sets, and how-to pages. Math Warehouse is "dedicated to dynamic Math lessons, demonstrations, and interactive activities." There are topics in algebra, geometry, trigonometry. Worksheets are available for download, too. MathinSite Applets address pure and applied mathematics. Several pure mathematics applets are suitable for middle and high school learners. Some applets come with work sheets and theory sheets. You'll find: Straight Line, Parabola, Cubic, Exponential Function, Circle, Ellipses and Circles,Trig Functions, Adding Sinusoids; Piecewise, Odd/Even & Periodic Functions; Complex Numbers, Maclaurin Series; Arithmetic, Geometric & Linear Sequences; and Differentiation. The site is from Bournemouth University (UK). National Library of Virtual Manipulatives for Interactive Mathematics contains manipulatives and associated online activities for each of the five strands identified in standards set forth by the NCTM. This is an ongoing project of Utah State University and a must see site for grades preK-12. Select a manipulative from the grade level you teach and an activity from one of the strands. NCTM Interactives come with the activity, instructions, and questions for exploration. The database is searchable. Common Core standards are identified. Number Line Applet: Introduce addition and subtraction of integers with this number line. Students see the concept after clicking onto the integers (-35 to 35) for the problem. From MSTE at University of Illinois-Urbana_Champaign. PBS LearningMedia includes free media resources searchable by grade level, standards, media type, and subject. Resources include video and audio segments, interactives, images, documents, lesson plans, productivity tools for teachers, self-paced lessons,and student-oriented activities. You'll find media from NOVA, Frontline, American Experience, and other public broadcasting and content partners. The mathematics section features K-8 mathematics strands, and high school number and quantity, algebra, geometry, functions, statistics and probability. Highly recommended. PhET Interactive Simulations from the University of Colorado at Boulder has " an extensive suite of simulations to improve the way that physics, chemistry, biology, earth science and math are taught and learned. The simulations are interactive tools that enable students to make connections between real life phenomena and the underlying science which explains such phenomena" (About PhET section). The simulations are free, and can be easily used in the classroom. Flash and Java must be installed. Principles and Standards for School Mathematics Electronic Examples--interactive applets for investigating concepts from NCTM. Examples are divided into grade bands. 9-12: Explore vectors; use graphs, equations, and tables to investigate elimination of medicine from the body; explore inscribed figures, linear regression, and linear functions. Ruler Game: Learn to read a ruler. You can set the degree of precision for practice and select from the standard English or Metric rulers. Users click on the ruler for the location of the measurement to find. Seeing Math by the Concord Consortium has eight free secondary math interactives written in Java to assist algebra learners in the study of functions. "Each interactive provides a real-time connection between representations of the mathematics (symbolic, graphical, etc. ), so that changes in one representation instantly cause changes in the other." Interactives include a qualitative grapher, piecewise linear grapher, linear transformer, quadratic transformer, function analyzer, system solver, plop it and proportioner. A user's guide, warm up exercise, frequently asked questions, and sample activity are provided. Also see math interactives at the Concord Consortium. Seeing Theory is a visual introduction to probability and statistics. Multiple interactive visualizations include explanations and are provided in categories of basic probability, compound probability, distributions, statistical inference, and linear regression. Students studying AP Statistics or introductory college statistics will value this site. 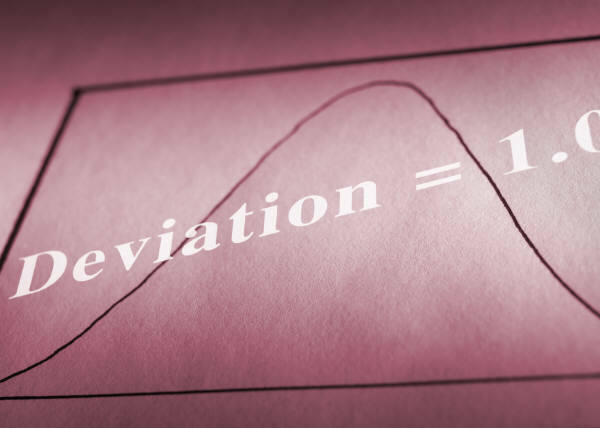 Statistics: Are you teaching your students about statistics and survey research? Read Statistics Every Writer Should Know by Robert Niles. Learn about mean, median, percent, per capita, standard deviation, margin of error, data analysis, and more. Link to sites for data sources and interactive help to select the right statistical test. Descriptive Statistics (introduction to Mode, Median, and Mean) by Jay Hill at the University of Illinois. Chi-Square by Amar Patel. The material in this lesson, which is correlated to NCTM standards for grades 9-12, will help students to understand statistical terms such as fairness, expectation, significance, and chi-square. Excel spreadsheet is needed. Content could be used with grade 8 and above, however. Cartoon characters add humor to the discussion. Random.org includes a coin flipper for use with a variety of currencies, dice roll, playing card shuffler, integer and sequence generators, and much more for generating randomness. Create a Graph, brought to you by the National Center for Education Statistics, is an interactive site that helps students understand how to create area, line, and bar graphs, and pie charts. You might point out to students the 10 Common Mistakes Found on Graphs, noted by CanTeach in Canada. If you are looking for data to use when creating graphs, see the work of Robert Niles on finding data on the Internet. If you have developed a bar graph using Microsoft Excel, show students how to Create a Pictograph from that data. TeacherLED, produced by Spencer Riley, a teacher since 2002 in Birmingham, United Kingdom, "is designed to provide teachers with access to free high quality teaching resources for use on Interactive Whiteboards." Math resources are categorized by algebra, data handling, number, shape/space/measure, general maths, and investigations. Thinking Blocks teaches children how to visualize and solve math word problems. Using interactive blocks and cubes, children create models that illustrate the underlying math concepts within the problems. Thinking Blocks combines guided instruction, video explanations, and independent practice to help young students in grades 3-5 develop strong problem solving skills. Using Virtual Manipulatives on the Web to Develop Number Sense by Margo Mankus and hosted by the Graduate School of Education at George Mason University contains three interactive applets and a host of activities to develop concepts of number, operations, and geometry. Applets, developed by J. Bulaevsky, include pattern blocks, base ten blocks, and integer rods. These are great tools to demonstrate concepts in the classroom and to give students practice in class or at home. Utah Education Network K-12 Student Center features student interactives categorized by math topics for gradebands K-2, 3-6, and 7-12. Virtual Polyhedra, by G. Hart, is a collection of thousands of polyhedra that you not only can look at, but move and spin. Hart also provides extensive research on the topic and information on how to construct paper models. Visual Calculus from the University of Tennessee Math Department at Knoxville is an excellent resource that includes tutorials, drills and programs for precalculus and calculus. Animations, interactive pages, step-by-step solutions and illustrations are included for topics ranging from functions, graphing with technology, solving equations, and conic sections to limits and continuity, derivatives and applications, integration and applications, sequences and series. As a veteran calculus teacher, Patricia Deubel highly recommends this site. Visual Fractions, by Richard Rand, is an online tutorial with instruction and interactive practice in identifying, renaming, comparing, and operating on fractions, including mixed numbers (add, subtract, multiply, and divide). All examples are modeled with number lines or circles. This site helps students, primarily in grades 3-8, to picture fractions and operations on them. Visual Math: Functions contains JAVA applets for exploring linear and quadratic functions. Linear explorations include representations of linear functions, functions defined on intervals, equivalent expressions for functions, addition/subtraction, transformations, rate of change. Quadratic explorations equivalent quadratic expressions, comparisons and operations, solving equations, graph transformations (vertex form), add functions (polynomial form), products of linear functions, quadratic growth, graphic design, motion at changing speed, and economic decisions. Visual Math Learning is a free educational web site developed by W. Bateman, who indicates that the site features "an interactive on-line tutorial for teaching elementary mathematics and basic arithmetic for grades K-12 at the pre-algebra level. It is an instructional aid for parents, teachers, and educators of primary, elementary, and middle school students, as well as a resource for lesson plans, homework help, and home schooling math lessons. The tutorial includes games, puzzles, interactive diagrams, and computer animated virtual manipulatives that emphasize active learning concepts by visualization." Walter Fendt's HTML5 Applets on Mathematics address arithmetic, plane geometry, trigonometry (visual demonstration of graphs of sine, cosine and tangent of an angle), vector calculation, analysis (e.g. app to introduce the derivative, 1st and 2nd derivatives), and complex numbers (arithmetic operations). These are very engaging and illustrative of concepts. WisWeb is the website of the Freudenthal Institute for middle and high school education (students of 12 to 18 years old). The main focus of the site is applets. Subjects include number sense, number and estimation, measurement, algebra and calculus, geometry, discrete math, statistics and probability. The Freudenthal Institute is a Research Group on Mathematics Education located in the Netherlands. Wolfram Demonstrations Project from Wolfram Research, Inc. is a collection of interactive illustrations "to illuminate concepts in science, technology, mathematics, art, finance, and a remarkable range of other fields" (sec: About the Wolfram Demonstrations Project). You can preview Demonstrations directly in your browser, but to fully interact with them, download the live versions and run them in the free Mathematica Player, if you don't already have Mathematica (Version 6 or higher) or Mathematica Player Pro. Educators might also wish to download the "Experience Mathematica in Education" brochure to learn how to instantly make lessons interactive and use these Demonstrations to help you visualize classroom concepts. Math demonstrations are provided for grades K-2, 3-5, middle school, and high school by subject, including calculus. Demonstrations (manipulatives) are also aligned to Common Core standards. Highly recommended. Cinderella is free software for creating geometric constructions. Its developers say, "Use it to experience geometry on your desktop or on the web. Starting from simple triangle relations, continuing with trigonometric theorems up to fractals and transformation groups Cinderella lets you create and manipulate visualizations in an intuitive, yet powerful way. Using Java® technologies, constructions are seamlessly exported to the WWW." FlashandMath.com has an entire section devoted to developing your own mathlets: ActionScript 3 Tutorials for Developers. See related topics: Math Resources and Standardized Test Preparation. Tell us about the math manipulatives you use.